The Gallows Are Busy is Released! 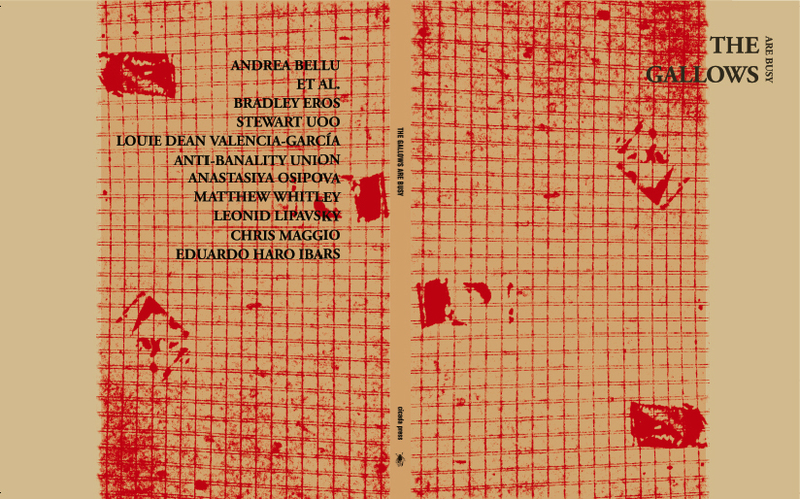 The full print run has arrived at last for “The Gallows Are Busy.” We will be hosting a release party in Manhattan come mid-January, 2014, with a date to be announced in the next few days. The hard copy is available now for order in the store. “The Gallows is simultaneously about, and is a product of, slippery “vacation vision.” We began and are now finishing it at a time of necessary travel, its accompanying disorientation, and the claustrophobia of weighty and unwanted leisure. Mexico City and Kiev are the end-points of our itinerary, and in-between are several months of extorting materials from friends and comrades in New York, our actual living place. In this publication we attempted to follow and describe the trajectory of a glazed and nervous eye, which takes in the textures of things, and all the associations that they give birth to, but fails to understand their function. We gathered several accounts of such suspended, disassociative perception without celebrating, but also without condemning them. Rather, our intention was to consider the broad spectrum of “checking out”: its poetry, its stupidity, its cunning, its rebellion. We do not want to praise distraction for distraction’s sake. Instead, we would like to remind about the necessity to historicize it. To treat it as a tactic. Thank you to all of our contributors, living and ethereal, for their patient zeal: Bradley Eros, et al., Stewart Uoo, Louie Dean Valencia-Garcia, Anastasiya Osipova, Matthew Whitley, Leonid Lipavsky (in original translation from the Russian), Chris Maggio, Eduardo Haro Ibars (in original translation from the Spanish), and Andrea Bellu.